Rinde wird in die Gestaltung noch immer zu wenig einbezogen, dabei haben wir eine grosse Palette zur Auswahl, und genaues Hinschauen lohnt. 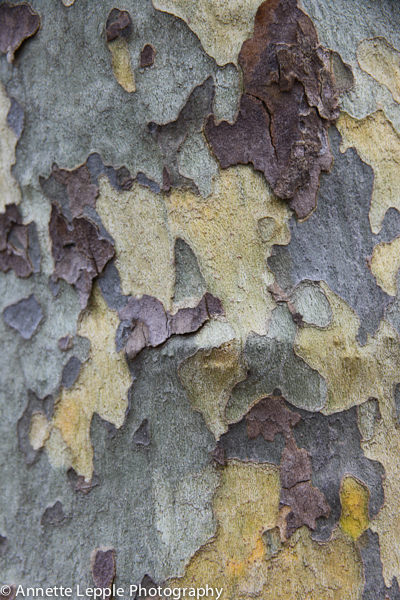 Bark is still not considered enough in design, but there’s a huge choice and it’s worth taking a closer look. Platanus sp. – keineswegs nur Bäume für grosse Gärten, denn dachförmig gezogen, sind sie gut für einen Sitzplatz geeignet. Faszinierendes Muster, nicht? Platanus sp. – not only for large gardens, as they’re well suited for training/pruning. Fascinating pattern, isn’t it? Viele Vertreter der Gattung Pinus verzaubern mit ihren strukturstarken Oberflächen – man bekommt Lust, darüber zu streichen. A lot of members of the genus Pinus produce bark that virtually invites us to touch and explore. Cercis canadensis Forest Pansy – kommt mit Sommersprossen daher und schmückt sich im Frühling noch mit rosa Blüten. Warum nicht mit Bergenien, rotlaubiger Berberitze und einem Gras wie Leymus arenarius kombinieren? 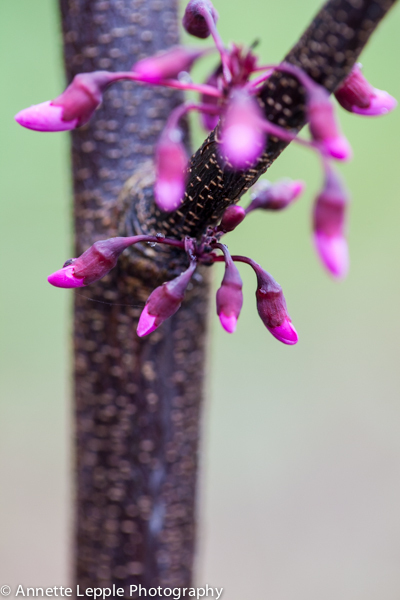 Cercis canadensis Forest Pansy – comes with charming freckles and has the bonus of pink flowers in spring. Why not combine it with Bergenia, red leaved Berberis and a grass like Leymus arenarius? Prunus serrula – wirkt poliert noch schöner! / looks better after a good polish! Stewartia pseudocamellia, diese Kamelienverwandte schätzt sauren, frischen Boden, blüht im Sommer und hat eine flammende Herbstfärbung. Stewartia pseudocamellia, a relative of the camellia, loves acid, fresh soil, flowers in summer and turns fiery yellow, orange and red in autumn. Betula albosinensis – alle Birken haben schöne Rinde, werden aber ziemlich gross. In neuen Designs sieht man oft sehr eng stehende Birken, aber ich frage mich, wie es nach einigen Jahren aussieht. Beschnitten sehen Birken nämlich gar nicht gut aus. / all birch trees have fabulous bark, but do get quite large. In new designs one often sees closely planted birch trees, but I wonder how this will look in a few years as they don’t lend themselves to pruning at all. 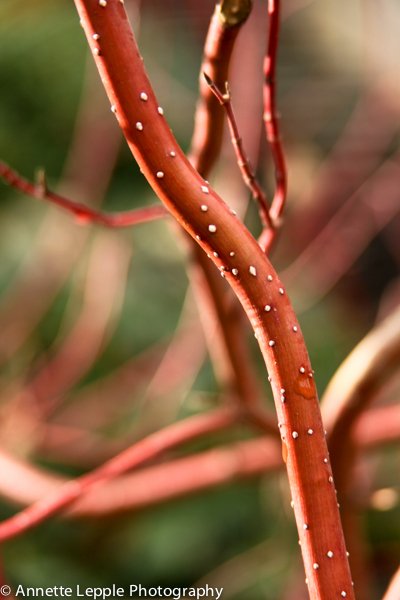 Cornus Winter Beauty – sehr effektvoll am Wasserrand. Starker Rückschnitt fördert bunte Triebe. / very efficient near water. Prune strongly in spring to encourage colourful shoots. Acer griseum – einer meiner Lieblingsbäume, geniale Herbstfärbung, ideal für kleinere Gärten! / one of my favourites, superbe autumn colours, suitable for smaller gardens! Kurios ist die Rinde von Ceiba petandra, aber er benötigt ein mildes Klima. In Südfrankreich habe ich einmal ein schönes Exemplar gesehen. Piekst ein wenig, also vorsichtig streicheln. Strange looking bark of Ceiba petandra, but it needs a mild climate. I have seen a beautiful one in Southern France. A bit thorny, so caress carefully. Habt ihr bei der Gestaltung eurer Gärten Rinde berücksichtigt, und wenn ja, welche mögt ihr am liebsten? 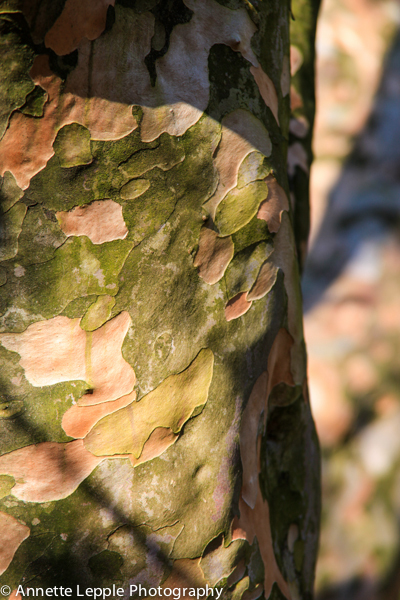 Did you bear bark in mind while designing your garden, and if so, which is your favourite? Faszinierend wie vielseitig Rinden sind! Eine tolle Zusammenstellung! Lots of lovely bark to admire and stroke! 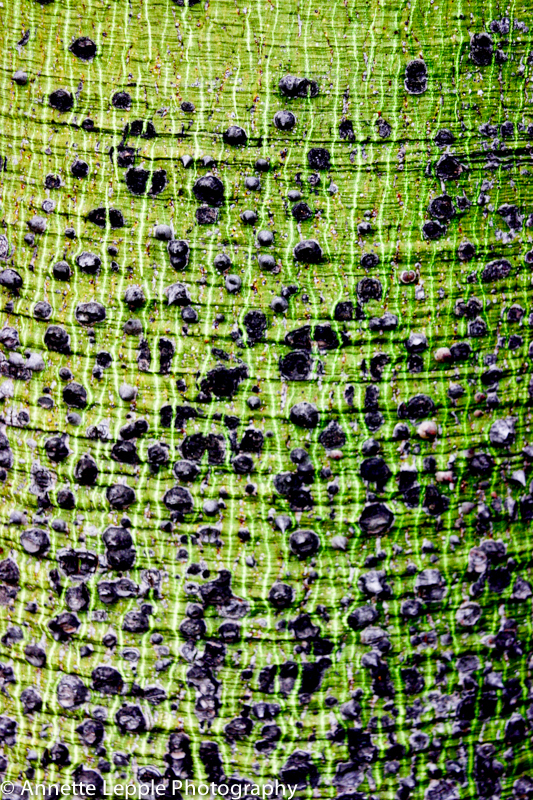 The bark of the Ceiba petandra is very unusual, I’ve never seen anything like it before! It is indeed and I’d love to grow it but, alas, not mild enough. 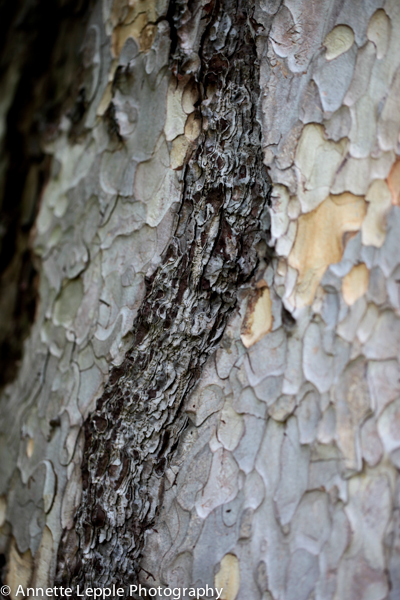 I agree that bark is often not considered by gardeners when choosing plants for thier gardens, the favourite in my garden is the Melia. My Melia is still a teenager, but I’m so delighted that I can finally grow it in my new plot. The bark is very smooth still. 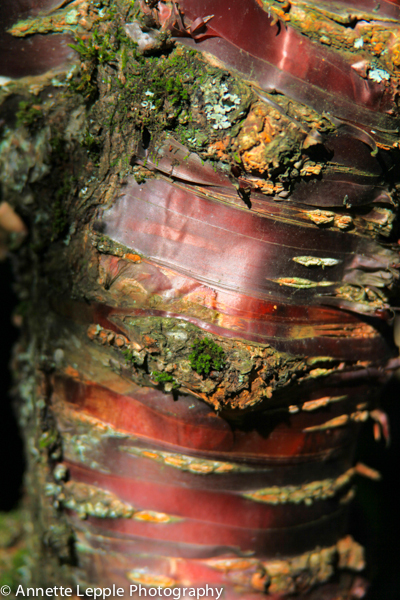 I like the red bark of red osier dogwood, and the bark of white or river birch. 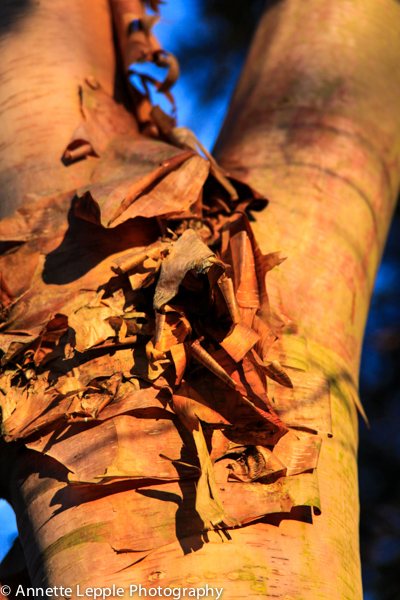 Bark is really important, especially in winter. . Lovely photos, Ceiba petandra is a new one to me. It is special, so we have to move to the Côte d’Azur if we want to grow it. I saw it in the garden of Villa Rameh. I do try to consider bark when planning a garden. 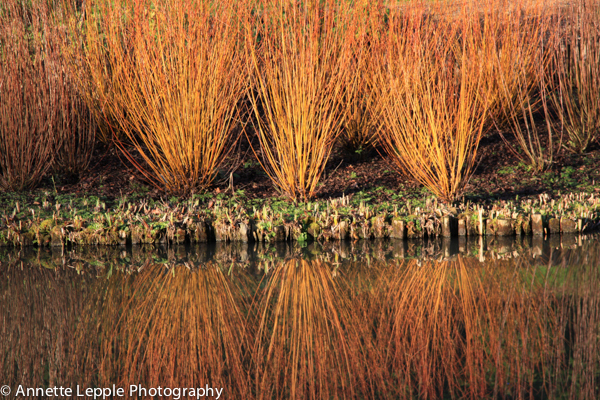 Not only do trees, and shrubs such as Dogwoods, add good vertical interest, they can add colour and texture when all around is flat and brown. My favourites are Rubus cockburnanius for their white stems and all the Dogwoods. One of the most attractive trees when free of leaves is the olive tree, I love them not so much for their bark but for their interesting twisted, gnarled trunks. Lovely photos, thanks for showing us. 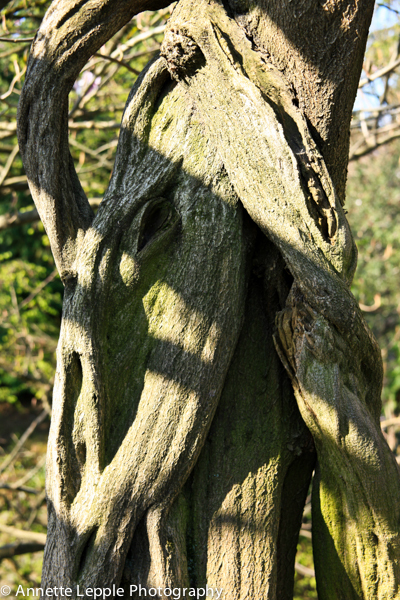 D.
Thanks for your comment – I also have a large collection of Cornus and an olive tree but I wonder whether I’ll live to see the gnarled trunk of mine…probably not! My second lot of cuttings of Winter Beauty has just failed, very tricky to propagate. I think the people who designed our garden just plopped in a few nice trees and never went into the garden again! We still have an awful lot of tidying up to do, being right next to the woods! 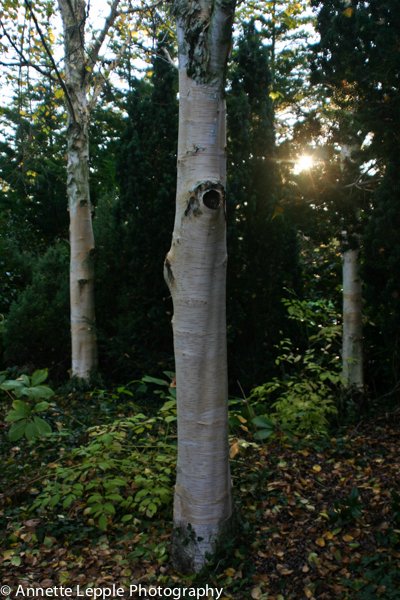 One day… In the meantime I am so grateful for our silver birches. Love all your photos – and I really love the Stewartia – gorgeous! Some beautiful colours, patterns and shapes Annette. I wanted to reach out and in some cases touch, feel and stroke although I would give that that rubus a wide berth. With the Acer it’s a matter of patience unless you put in a larger specimen. Cornus Winter Beauty is my favourite (you have it too, no? ), but my second lot of cuttings is failing yet again. All other Cornus are no problem at all. Guess I have to buy some. 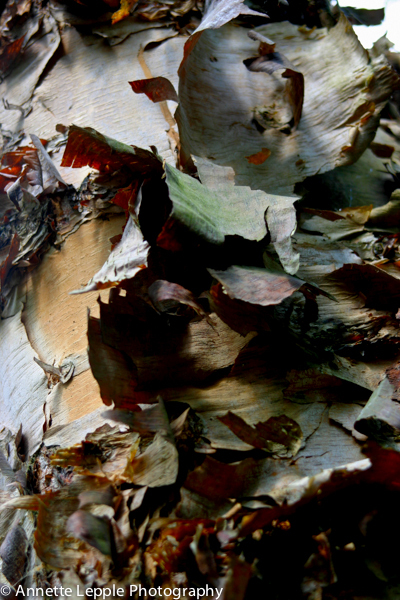 Nice study (photo) of bark, Annette. 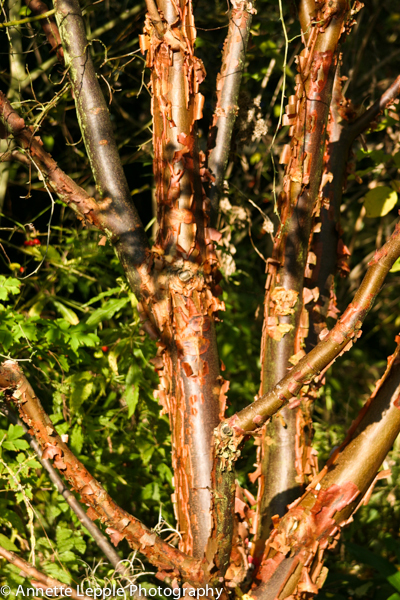 Bark can be such a good focus in a garden, especially in winter when leaves are gone. I love bark and the effects it can create. I have used several trees and shrubs for that reason, in my garden. I have a small „woodland“ area at the bottom of our garden, which is planted, mainly for interest from autumn through to spring, and so includes bark, along with autumn colour and winter/spring scent. I have used Acer griseum, a Salix along with a patch of several different Cornus, chosen for their different stem colours, which all nestle under an old, established (and unnamed) silver birch tree. And I musn’t forget my Eucalyptus pauciflora in the front garden, with its beautiful „patchwork“ bark. Sounds great and I hope you’ll share some pics of these plants in your blog. Eucalyptus are wonderful for bark and foliage but not hardy everywhere. I’m quite tempted to give one of them a go. Beautiful pictures and a lovely post. It has gotten me quite excited this morning. I do always think about bark and its colour although we don’t have all those options around here. It is definitely an important part of a landscape design as is thinking about how big things will get in the future, even though it is hard to wait for things to fill out. I am a long term thinker myself. Have a beautiful day out there! Thank you – I don’t know where you garden but around here sourcing special plants can be tricky too and I’m known to going to extremes to get what I want (ask my poor husband 😉 ) Have a good weekend! 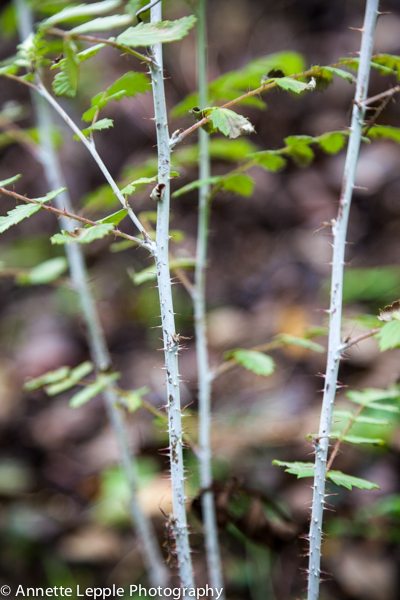 I have to admit to not considering bark Annette – although I’ve inadvertently chosen two shrubs that will have interesting bark when they mature. Your pictures are superb, as usual – I could not pick a favourite. I would love to add a lacebark pine. When mature I think their bark turns a smooth chalky white, if I only had the room! 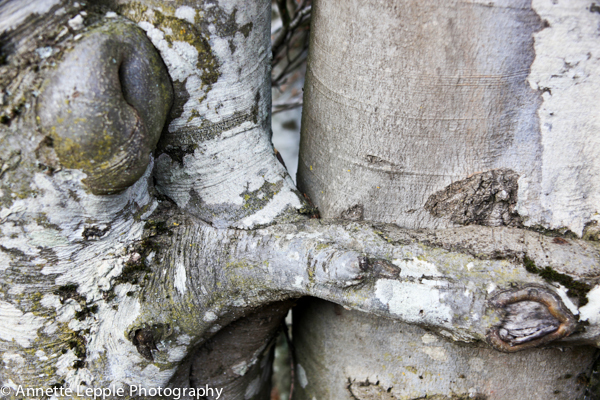 I may take up on your suggestion for a pollarded sycamore. Maybe there’s still room for a little one!